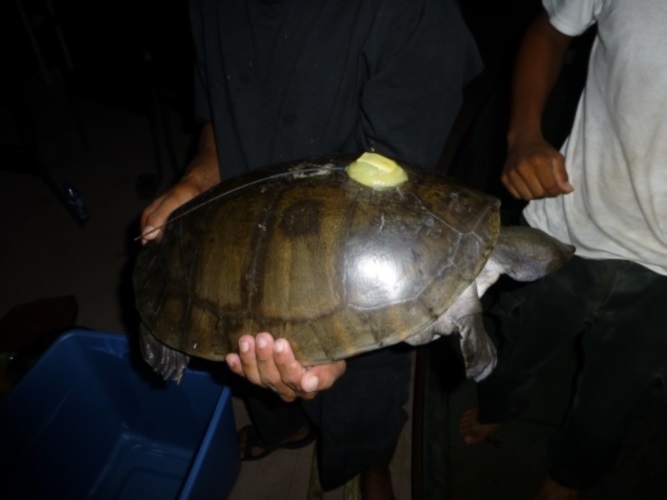 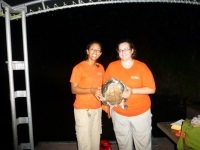 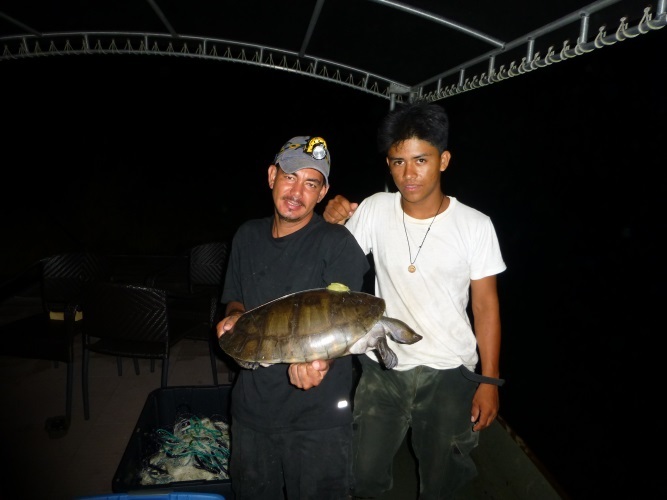 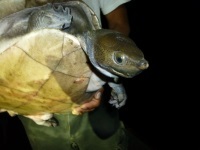 The Central American river turtle (Dermatemys mawii), known in Belize as the “hicatee,” is one of the world’s most heavily exploited turtles, collected for its meat, eggs, and shell. 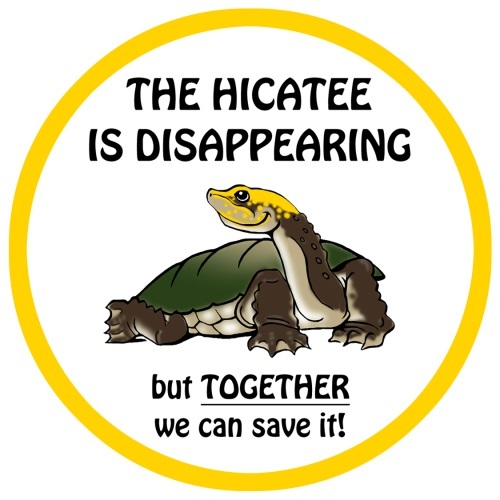 Populations of the critically endangered hicatee have disappeared in nearby countries and continue to decline in Belize due to over-hunting as well as habitat loss and degradation. 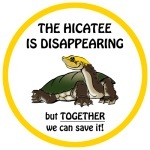 As a result, the National Hicatee Conservation and Monitoring Network (NHCMN) was formed in December 2010 and conservation campaigns began throughout the country. 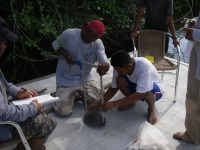 The Lamanai Field Research Center hosted a hicatee monitoring and training workshop in March 2011 with Dr. Thomas Rainwater, the Turtle Survival Alliance, and the Hicatee Conservation and Monitoring Network. The session trained representatives from the Belize Forest Department, Belize Fisheries Department, Belize Audubon Society, Belize Foundation for Research and Environmental Education, and Lamanai Field Research Center in safe capturing techniques and standardized surveying methods. 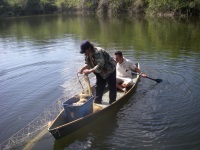 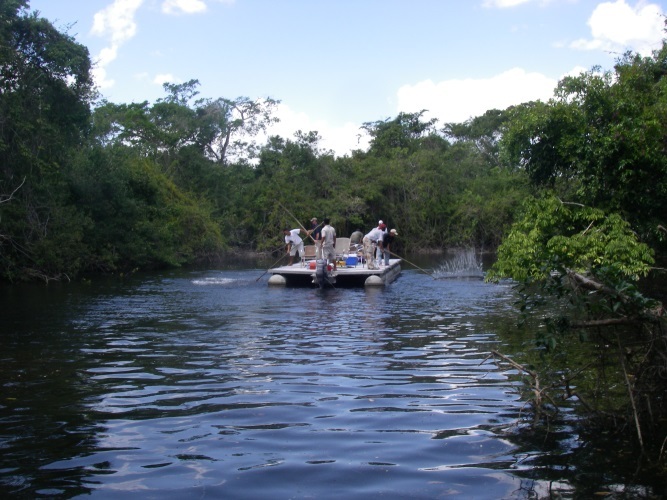 University of Florida and the Lamanai Field Research Center, in collaboration with the Belize Fisheries Department, are leading a long-term hicatee research and monitoring program in the New River Lagoon and surrounding areas. 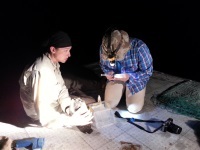 Research is conducted three times per year and includes surveying, capturing, trapping, and tracking hicatees using radio telemetry. 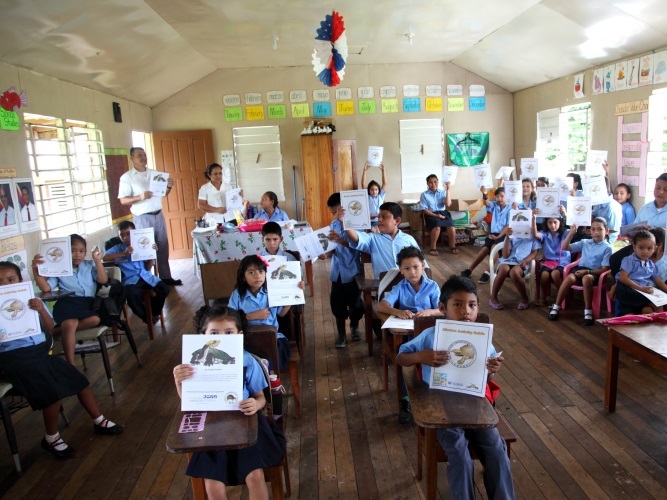 The program also includes outreach and education in local schools to raise awareness of hicatee conservation.